US government scrutiny of visitors to get even more invasive, while Google Maps continues to improve for those on a road trip. T-Mobile ramps up roaming data speeds in Europe over summer, and free Wi-fi at Indian train stations is proving a massive success. It’s the start of the month, and that can only mean it’s time for Travel Tech News again! It was bad enough when the Thai government recently decided it wanted large amounts of new personal information from longer-stay visitors, including details of their social media accounts. Not to be outdone, US Customs and Border Protection now wants to extend that approach to any visitor to the United States, regardless of how long they’re in the country. 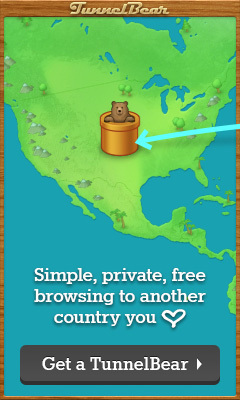 This is one of the more egregious privacy invasions I’ve seen suggested by a Western government in quite a while. Even if it’s optional, how many visitors would decide to provide that information rather than attracting unwanted attention from immigration officials by not filling it in? I know I would, especially since there’s no right of appeal if the border guard decides they want to deny you entry for any reason. I don’t know about you, but I share and say plenty of things on social media I’d prefer US government officials weren’t actively scanning through. That’s not because I’m a risk to the country, just because I likely don’t share many of their views. Independent of that, this seems like another security theatre measures. Like 3oz containers and taking your shoes off in the TSA line, people give up their rights in return for no security benefit whatsoever. If I was genuinely a threat to the United States, do you think I’d be putting my real social media details on that form? Since this new focus on technology doesn’t extend as far as the feedback process for silly ideas, you can register your thoughts on the proposal by snail mail at: U.S. Customs and Border Protection, Attn: Paperwork Reduction Act Officer, Regulations and Rulings, Office of Trade, 90 K Street NE., 10th Floor, Washington, DC 20229-1177. If you like your privacy, I’d encourage you to do so. If you’ve ever gone on a road trip and relied on Google Maps for navigation, you’ll know one of the app’s biggest limitations: waypoints. The essence of a road trip is that it’s hardly ever the shortest or fastest route between two points. No, it’s all about wandering. Visiting the world’s largest ball of twine ten miles off the highway, for instance, or tracking down that famous sandwich shop in some random town along the way. Up until now, Maps only let you add one waypoint to your route. That was a decent start, but it didn’t really let you plan out your day and just start driving. The company has now sorted out that little problem, at least if you’re an Android user. The iOS version will get an update “soon”. You may need to wait a little while for the updated version of the app to hit your device (mine hasn’t yet), but once it does, the process is pretty simple. Search for a destination, hit the menu icon in the corner, and tap “Add a stop”. Keep doing that until you’ve got all your stops in place (you can change the order if you like), hit Done, and start driving. It’s a simple thing, but it’s also another nail in the coffin of dedicated apps and in-car GPS units. The better free apps like Maps get, the harder it is to justify spending money on something else. We’re definitely fans of T-Mobile’s Simple Choice cell plans around here. Free international text and data roaming through much of the world is unmatched by any other carrier. The speed of that data, though, is usually noticeably limited. While it’s not the end of the world to wait a bit longer for emails to come through or Facebook to update, it’s frustrating for things like maps and especially web browsing. Well, if you’re a T-Mobile customer and heading to Europe this summer, those slow speeds aren’t going to be a problem. Through July and August, the company is removing the speed cap across the continent (except, weirdly, in Andorra. Go figure.) If your phone supports it, you’ll get 3G or LTE speeds, meaning no more waiting around for pages to load or downloads to finish. Less time starting at your screen, more time staring at the Colosseum. We’re cool with that. As part of the same announcement, Belize is now included in the list of countries that include cheap calls and free text and data. That means T-Mobile customers can now roam throughout the entirety of Central and South America at the same rate. Happy days. Back in February, I mentioned a plan by Google and the Indian rail operator to roll out free Wi-fi to 400+ train stations across the country. At that point, it had just started, with the first installation going live in Mumbai. More than 100,000 people connected in the first week alone. Now, a few months later, the project is still on track (pun intended), and 1.5 million people are now accessing the network across 19 stations. While there’s no official word on how fast the network is, Google says its intention is for all users to be able to stream high definition video. That’s ambitious, especially as the network continues to grow — the plan is to hit 100 stations this year alone. In a country where buying a SIM card as a foreigner can be needlessly difficult, free, fast Wi-fi in train stations could be as useful to tourists as locals as time goes by. Very interesting update on the Travel Tech News. I loved India’s free railway Wifi station – that’s incredible !